A 9-year-old girl in Georgia called 911 to report her father who was driving drunk. Her voice was trembling with fear as she yelled for her father to pull over. The incident happened around 4:00 p.m., when Wesley Burgner, 36, was driving approximately 300 miles from Atlanta to St. Simons Island. The young girl was in the backseat with her sister, the police said. In the released audio clip, the girl expressed her fears that they would crash and die. They ended up at her grandparents’ home where the police eventually arrested Burgner. In a police report, officers said he was “visibly intoxicated” – had slurred, slowed speech, and had troubled standing. Authorities said that Burgner manipulated his breathalyzer device installed in his car in order to drive. He was taken to the Glynn County Detention Center. He’s now charged with DUI, child endangerment, and driving on a suspended license. In 2014, there were 1,070 traffic deaths among children aged 0 to 14 years, and 19% of these involved an alcohol-impaired driver. During the same year, an average of one alcohol-impaired-driving fatality occurred every 53 minutes. In 2015, there were 10,265 people killed in alcohol-impaired-driving crashes. 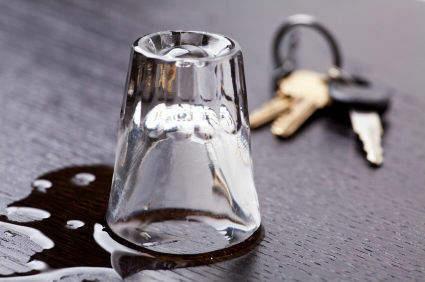 In 2016, in Kentucky, there have been 192 drunk driving fatalities, more than 4,500 alcohol-related crashes, 17,000 DUI arrests, and over 24,000 DUI convictions. As a Kentucky Accident Attorney and as a parent, too, it was heartbreaking to hear about this kind of incident. The young girl was completely frightened while making that 911 call. I am glad though that she was able to make such a quick decision to report her drunk father. I hope that she and her sister will soon recover from it. As parents, we carry the responsibility of protecting our children and ensuring that they are safe from any harm. Every time we hit the road, we should always remember that it’s not only our lives that are at risk if we commit traffic violations, but also those of our passengers, other motorists, and pedestrians. Drive only when sober whether you’re alone or with someone. And if you see someone driving under the influence of alcohol, call 911 immediately, take down the license plate number, and state the last place where you saw the vehicle.